New York: 1993 (1978) Revise, 1993. Softcover. 11" x 8.5". 224 pages. 64 color and 112 b+w photographs of artifacts. 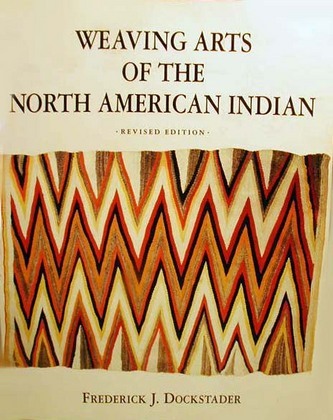 A history of North American Indian weaving and textile arts with information on looms, designs and collecting and preserving Indian weavings. Used. Out of print.